SNAFU! : JLTV multi-mission weapons carrier? Hmm. 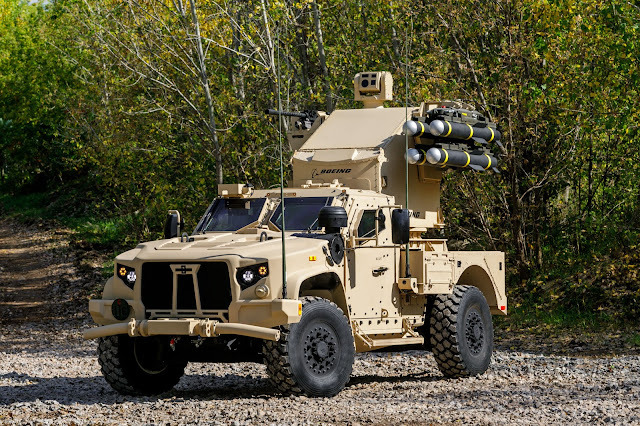 The Army and Marine Corps might have painted themselves into a weird corner when they reclassed the JLTV from being a utility to a combat vehicle. It could be expected that Oshkosh would push new varieties of the thing, but now its gonna be hard to justify the cost of an anti-air version of the ACV, Stryker, Bradley or anything else when you can strap all kinds of weaponry on this lightweight vehicle...a vehicle that you told lawmakers was combat ready...frontlines combat ready.